This is me, rebellious as ever. Haven’t you heard? 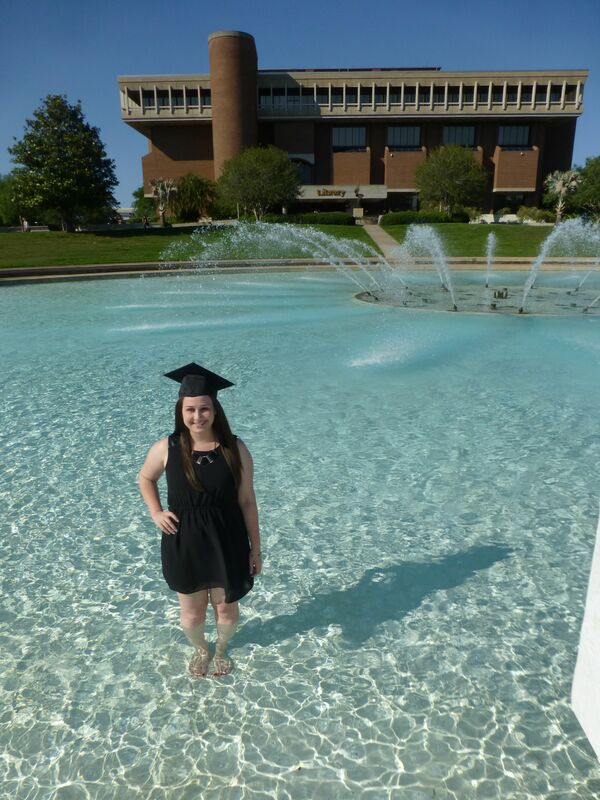 I’m a college graduate! For those of you who didn’t know, I received my B.A. last week and have officially begun the newest chapter of my life as a full-time marketing professional. It feels like just yesterday I was moving into the dorms and trying to figure out who to sit next to at club meetings! These last four years have been the most challenging and rewarding years of my life so far, and I can’t believe how quickly they flew by. Graduating from college is simultaneously exciting and scary. It’s a time of transition that leaves no room for black and white, only gray areas that cause us to question how we should act and what we should be doing in comparison to our peers. We’re technically adults, but we aren’t completely sure if we should feel that way just yet. Change can be terrifying. It can also be incredibly rewarding. For the first time since I was five (or younger, if you count preschool), I am not enrolled in school, which means that, in a sense, a huge chunk of my identity is missing. In other words, I am about to embark on a life that won’t be measured in semesters. And yet, the changes I’m about to experience – a new job, a new apartment, a (slightly) new city – mean that I have even more room to explore my identity outside of the classroom. I learned a lot from my college experience early on, and my goal was to share those tips with readers as often as I could over the past few years. Although college advice will continue to pop up here, you’ll notice a bit of a shift in content as I transition into the professional world and record my journey. For those of you who have recently graduated, I wish you the best of luck in your post-collegiate plans! Happy Hanukkah to my Jewish and partially-Jewish readers! Tonight, like many other holidays, is a night typically shared with family and friends, as observers exchange gifts and enjoy household traditions. However, some college students will spend the entire duration of this holiday away from home because of final exams and a few lingering classes. In fact, while we may have Christmas break (and some might not even have that!) and many of us do travel home for Thanksgiving weekend, we do run into this problem on plenty of other occasions: birthdays, anniversaries, mid-semester holidays, etc. Even for those of us who will get to celebrate Christmas with our families, we still miss out on some of the pre-holiday preparations – the weeks of decorating, menu-planning and gift-shopping that some people might do together. So, does this mean that college students are doomed to lose all holiday cheer? This month’s Freshman 15 is all about how to get in the holiday spirit even when you’re far from home. — Tweet this! Grab your coats and boots, and let’s get started! 1. Decorate your dorm room. While the picture shown on the right doesn’t do it much justice, my three roommates and I wanted to make sure that our apartment was festive for the holidays. 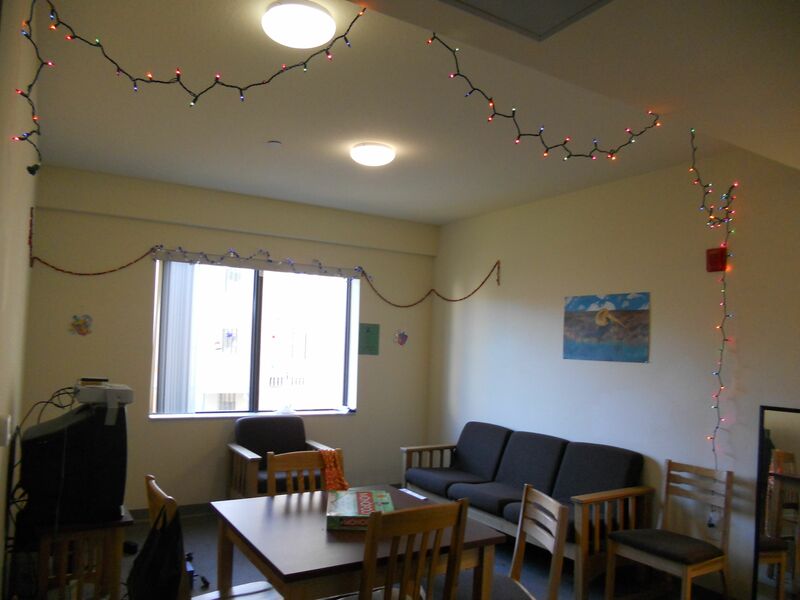 Because we come from different backgrounds and religions or non-religions, our room represents both Christmas and Hanukkah, with an electric menorah plugged in by the window, and Christmas lights and garlands lining the walls and ceilings. You don’t have to go all out, but it’s nice to put up a few holiday decorations here and there just so you have something celebratory to come home to. You can purchase these really cute window clings for $1 at Target, or start the search on your own. Besides, I am a firm believer in the idea that personalizing your dorm room or apartment makes you feel much more at home! 2. Participate in a gift exchange. Get together with a core group of friends and set up a Secret Santa or other type of gift exchange. Come up with price limits so that no one ends up with an unfair deal or completely breaks their bank accounts. Presents are definitely not what the holidays are all about, but rather the spirit of giving! 3. Send out holiday cards to faraway friends and family. Just because you might not get to see each other on the actual holiday doesn’t mean you can’t wish each other a happy holiday! While a Facebook message can be quick and easy, it’s hardly the most personal way to contact someone, and often text messages can even feel like they were sent out en masse. Instead, a simple card can be endearing. When your friends open their mail and see something waiting there from you, they won’t be able to stop smiling. 4. 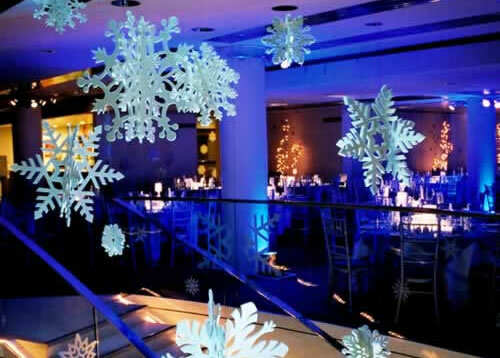 Throw your own holiday party! You’re not alone – plenty of your friends at school will be separated from their families during holiday seasons at one point or another, so why not celebrate the holidays with them? Last year, I threw a small Chrismukkah get-together, complete with latkes and Christmas cookies, and this year it’s going to get a lot bigger. Next Tuesday, my friends and I will celebrate in style! Your party can be as outrageous or low-key as you want it to be, and you can ask friends to help chip in. 5. Ask your family for left-over items. If you’re ever going to be home before the holiday and not during, ask if you can steal some extra holiday decorations or other items for your own use at school. In fact, I stole #5 on this list from my mom! Chances are, your family has accumulated a lot of excess holiday decor throughout the years, and more times than not, they’d be happy to part with some of it. 6. Go to a service. For those of you who celebrate certain holidays more religiously than others, you might feel more in tune with the holiday if you attend a church or synagogue service. Campuses are usually crawling with groups that are ready to take you in, and if not, you can always look around the community for something that appeals to you. I’m not preaching any religion here, but I do think that being a part of a congregation during the holidays can be comforting to some, and if you’re one of those people, you should consider the option. This may be the Season of Giving, but that doesn’t limit you to just gifts among friends and family. Because others in the world are less fortunate and don’t have the same luxuries we take for granted, doing some volunteer work may be beneficial at this time of the year. Whether you choose one of those Angels at the mall or you visit a soup kitchen, you can make a difference and make someone else’s holiday season a little brighter. 8. Build a gingerbread house! It’s fun to be crafty with your friends. 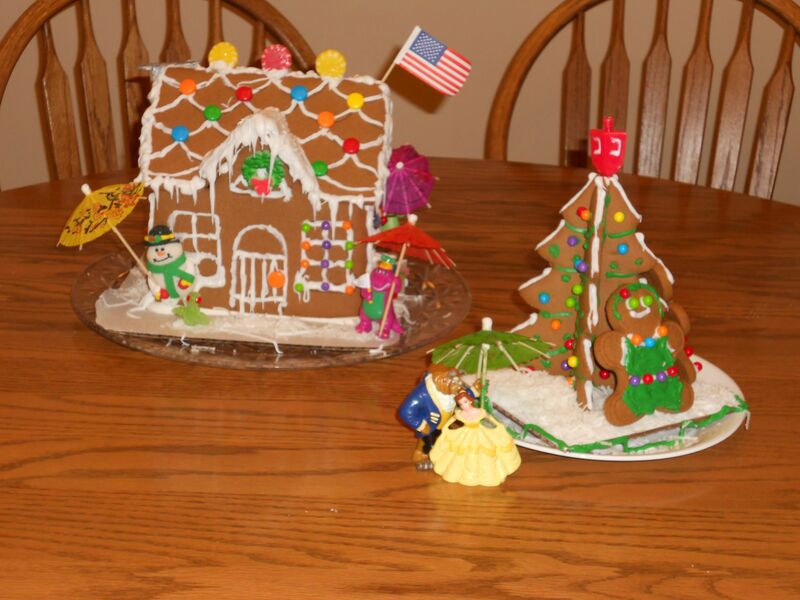 Every year when I’m home on a break, my sister and I decorate our own eccentric gingerbread houses (see this year’s example on the right) with our cousins and friends who are visiting, and it’s a great way to be creative and spread our holiday cheer. Not only is it a fun process, but it also lasts for a while afterward, and provides plenty of laughs and smiles along the way. The way to a college student’s heart is through his or her stomach, right? So if your dorm room, apartment or other living arrangement is equipped for baking, then win everyone’s heart by baking something holiday-esque for them. Either borrow an old family recipe, pick up some break-and-bake cookies from the grocery store (still arguably just as yummy as any other homemade cookie!) or try out one of these adorable cupcake designs. 10. Leave notes for your neighbors. If you’re feeling creative or just hospitable, write sweet little notes wishing people the happiest of holidays, and then tape those notes to your neighbors’ doors for them to come back to. You can sign them from yourself and your roommates (always a fun bonding activity), or you can keep them anonymous. Either way, it’s one of those random acts of kindness that you can’t help but feel good about afterward. 11. Enjoy the cold[er] weather. We all tend to associate a drop in temperatures with the holiday season. Even if you’re from Florida like me and all you’re ever exposed to are cold fronts, you know that the holidays aren’t complete without a sweater and scarf. Therefore, one way to feel festive is to go outside and really enjoy the cold weather. 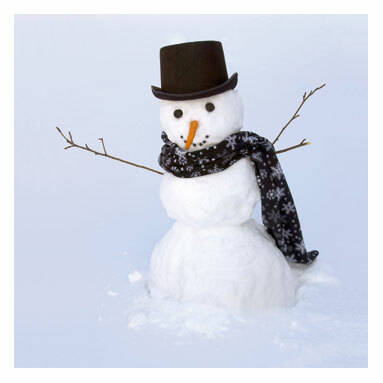 Build a snowman. Have a snowball fight. Go ice skating. Floridians, go on a picnic but wear a jacket. Embrace the cooler temperatures because before you know it, you’ll be melting in the heat once more. 12. Showcase old family traditions. When you celebrate the holidays with your college friends, everyone should bring a piece of their traditional experiences to the rest of the group. Cook that special dish that has been passed down through your family for years, and try out some of the new customs that your friends bring to the table. Seeing your friends in a setting they might normally experience with family can actually bring a group closer and teach you something about those people you never even realized. 13. Watch your favorite holiday movies. Whether it’s Shop Around the Corner, It’s a Wonderful Life or Nightmare Before Christmas, boost your spirits by watching a movie that pertains to the holiday you’re celebrating. Sip some hot chocolate and bundle up. 14. Pump up the volume. Create a holiday playlist on your iPod or online, and play it whenever you want to feel just a little jollier. Taylor Swift does an adorable cover of Last Christmas! 15. Create your own traditions. Yes, it’s hard to be away from home during holidays, but as you create a brand new “family” at school (not to replace your old one, of course), you will find that new events become important to you, and new traditions will emerge. Embrace the changes that you undergo, and enjoy the spirit of the holidays no matter where you go! How do you like to celebrate the holidays? What are your plans? With a few months of your first year of college behind you, you may feel like you’ve already started to find a place for yourself. Now free to make many of your own decisions, you might embrace your newfound independence and thrive on it. However, you may also begin to miss seeing your loved ones every day, or living in the same place you have lived your entire life, and that’s when homesickness can start to kick in. Even though I’m a sophomore and am in love with my university, there are times when I would love nothing more than to be in my old house again. After all, being three hours away from my family means that I miss out on some birthdays and holidays, I don’t have my parents and sister right there when I need their expert opinions, and I am absent for a lot of those you-had-to-be-there moments. However, as important as those things are to me, I do realize how much I benefit from the college experience, and how much I truly love it and wouldn’t trade it for anything. For those of you struggling with homesickness, here’s a fresh perspective on how to banish any negativity that comes your way. — Tweet this! Regardless of how many state lines or oceans separate you from your friends and family, you can still keep in touch easily. Whether you prefer Facebook or face-to-face video chats, you have countless options for communicating with others long-distance, so long as you have access to a computer. Of course, there’s always the telephone (for those of us who feel alienated by social media at times), but it’s good not to just avoid your loved ones simply because you’re away from home. Allow yourself to miss them, and allow yourself to continue fostering those relationships. 2. Make your new place your home. It doesn’t matter if you live in a tiny jail cell dorm room or a luxurious apartment — you can still personalize your new living space so that it works for you. Coming home to a room that you’ve structured to match your personality and preferences will make you feel much more at home than merely staring at the empty cinderblock walls all day. For tips on how to properly stock and decorate, click here. College is the best time for self-improvement and growth, so why not focus on that for a while? Attending workshops and listening to guest speakers you admire will keep your mind off of your loneliness and boredom and more focused on achieving something new. At the very least, setting goals and working to achieve them will help you to better yourself for future employers and relationships. 4. Meet with friends from home. For some of us, this may not be feasible, but for those who attend state universities with others they went to high school with, or who have known a lot of people in the surrounding area, it can be good to reunite with those people on occasion. Of course, it is important to spread your horizons, but reminiscing with old friends from time to time can be perfectly harmless as long as you don’t dwell on the past completely. 5. Get involved on campus. It makes perfect sense: if you’re busy with clubs and sports and other activities, you have more time to make friends, bolster your resume and have fun — and less time to think about what you’re missing back home. Faculty and students at all different universities agree that student involvement is one of the most important things one can do to have a meaningful college experience. 6. Embrace your new geography. Learn about everything your new location has to offer! If you’re in a city, it’s easy to find interesting things to do and attractions to check out, but even if you’re in a college town, you can locate something exciting nearby. Getting to know your new zip code can help you to form a greater connection to it, and it can give you something to be proud of. 7. Don’t forget snail mail! Write letters to your friends and family, and memorize your new P.O. Box number and address so that you can start to receive mail there as well! I know it sounds cheesy, but when I have letters from home awaiting me in my mailbox, I can’t help but smile. It makes me think of the days when I will have my own house and receive holiday cards and letters there each year, and it gives me more of a reason to call my community home. Plus, how can you feel lonely when you have something waiting for you in your mailbox? 8. Form your own support network. Having others to talk to and spend time with is vital if you want to have a positive college experience. Whether you need advice on a particular subject or you just want someone to accompany you to the grocery store, having close friends can make college feel much less intimidating. My friends and I have formed somewhat of a second family, and without them, I don’t know how I would get by. It’s important to be open to meeting new people, and don’t be afraid to lean on them when you need to. Sometimes, the best thing you can do to forget your woes is to assist others in conquering theirs. When I first started my fall semester of freshman year, I often wound up with practically the entire class of 2013 at my door, looking for something to do. Although it was sometimes overwhelming to play hostess to all those people, baking lots of break-and-bake cookies and serving all of my water and tea in Solo cups, I was also grateful to know that I had made others’ lives just a little easier and a little more entertaining. While you should never let others take advantage of you, you should be willing to occasionally assist others who may be just as homesick as you are. 10. Get out of your room. This tends to be my main advice for a lot of things (making friends, getting involved, etc.) but it still rings true no matter how many times I say it. The more exposure you have to the rest of campus and all of the events it has to offer, the less time you have to wallow in self-pity and think about how much you miss your home life. 11. Bring in traditions from home. Chances are, you will spend plenty of holidays at school, so why not make the most of them? Introduce your friends to some of your at-home customs, and allow them to chip in as well. In the meantime, it’s likely that you will develop your own traditions that you will pass on over the next four years. Christmukkah with my friends last year was a great success (and a great way to begin our finals week), and I’m positive that it will be even better this year! Do whatever it is that you do to overcome other forms of stress. Create art. Go for a run. Take pictures of the things you see. Play your guitar. Meditate. Write a blog (and then send me the link!) and find something that allows you to release whatever tension you have. This will help you in more ways than just this one, but having that one thing that allows you to let your mind go will also help you in overcoming any stress you may feel from homesickness as well. Sometimes it’s good to have something written down — then you’ve got your tangible evidence of what makes life at school so great. Keep a list of what you love about your new place, and remind yourself of everything it has to offer. Having to experience these things away from home is just another part of the growing process. 14. Remember why you’re here. 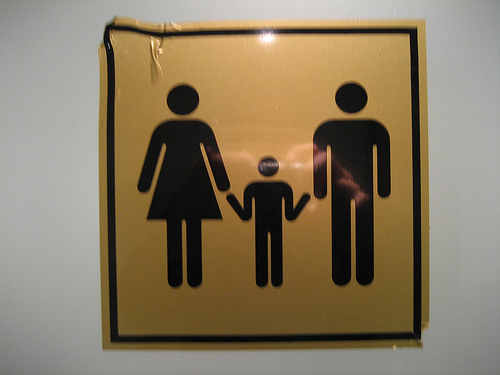 You are in college to obtain an education (or to meet someone rich enough to marry… har, har). Ultimately there are many perks to being in college, but in order to experience those perks, you need to accept the challenges that come with. Being on your own is one of those challenges, but if you know that you can get past it, you will be able to improve yourself in more ways than you could have ever imagined. College is definitely a time for transition and change. How have you dealt with those changes?